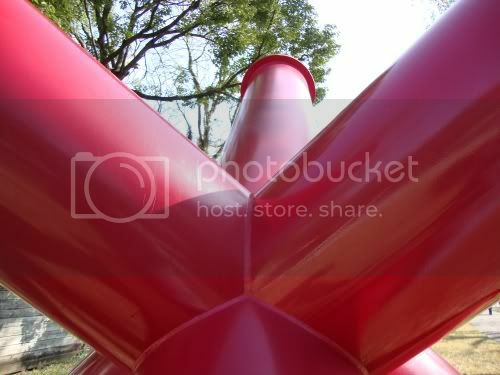 I photographed Jim Love sculptures at Rice University and in Hermann Park. Here's another public Jim Love. 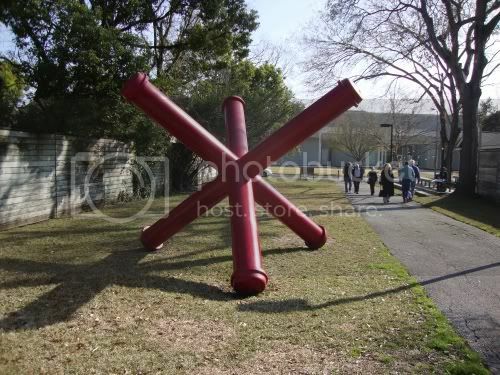 It's at the Menil Museum, specifically along the walkway between the parking lot to the museum. Heh, I didn't realize how obscene the second photo would be when I took it. There is also a very small Jim Love piece, I think Figure from 1961 (kind of a grenade with a steel brush on top), up at the Moody Gallery right now.